Red is rightly referred to as one of the most active and even aggressive colors: it goes without saying that it affects people on both psychological and physiological levels. In small portions it stimulates appetite, makes a kitchen cozier and homier, but bigger dozes can cause anxiety and annoyance. 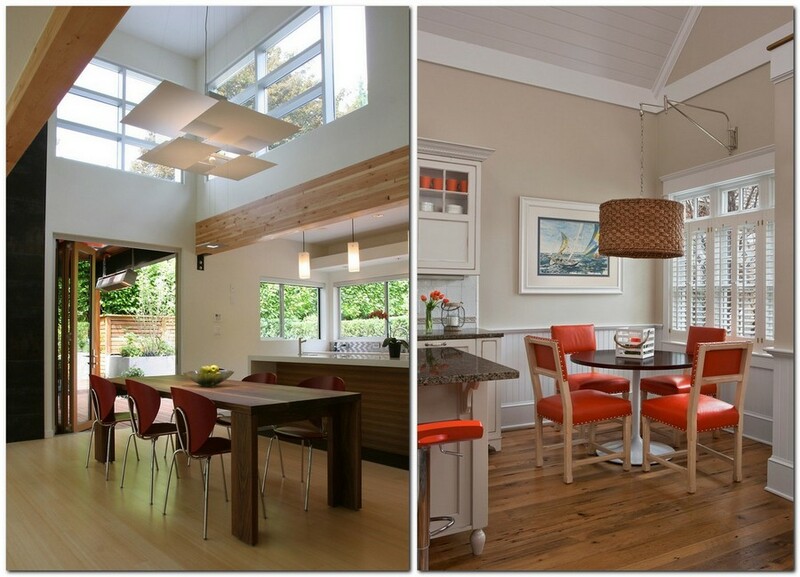 That is why an ideal role for this color is a bright interior accent represented by dining chairs, for example. Why? We have 15 reasons for you! Every year new interior trends appear on the market and Pantone announces major hues for the next 365 days. 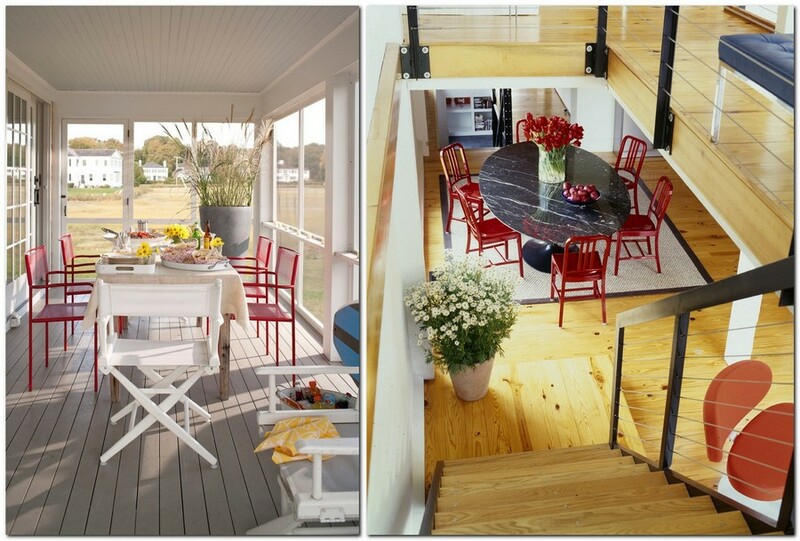 And if powder pink and ice coffee shades won’t be at the peak of popularity next year, red looks up-to-date any time. Whether it’s a rose bush, peonies, poppies or a butterfly’s wing, red always looks eye-catchy among the garden greenery. Use this trick in your dining zone on the terrace or on the balcony of your apartment. 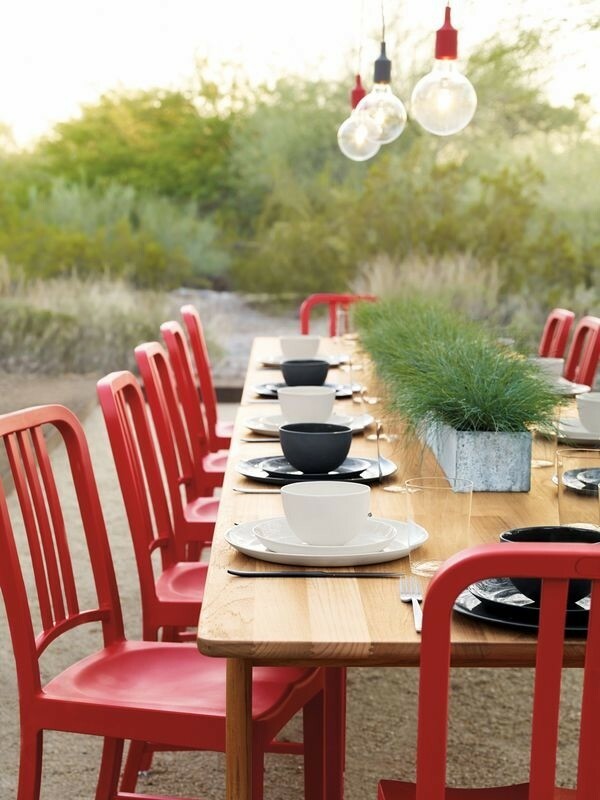 No matter what kind of texture a red dining chair has – plastic, metal, velvet or natural leather – this color looks equally great with any type of material. 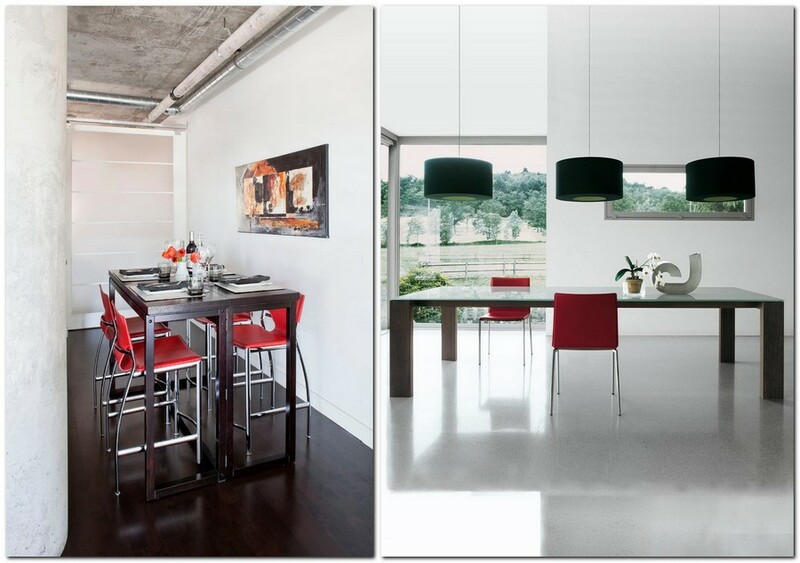 This color may at first seem too complicated, but it actually fits into any interior style – from Provence to hi-tech. In nature everything is well-thought-out, hence any naturalistic colors and textures perfectly blend with each other. So, feel free to combine the color of ripe fruits, coral, terracotta and other natural hues of red with stone, wood or their imitations. There are dozens of red shades: burgundy, cardinal, scarlet, crimson, sangria, pomegranate, cinnabar and many others – we have a great choice indeed. One of the fundamentals of classical style is deep and noble colors, and red is one of them. A king’s robe, scarlet brocade, burgundy velvet curtains in royal chambers – associations speak for themselves. Whether you got red chairs on IKEA’s sale or had them custom-made by a famous designer – they will always be impressive and up-to-date. A classical black-and-white couple is usually complemented with a third, contrasting color and this does make sense: no matter how win-win this iconic combination may be, our eyes search for bright accents anyway. What if you invited guests, but there are not enough chairs in the lounge to seat everyone? Most likely you will bring a couple of chairs from your dining room or kitchen. 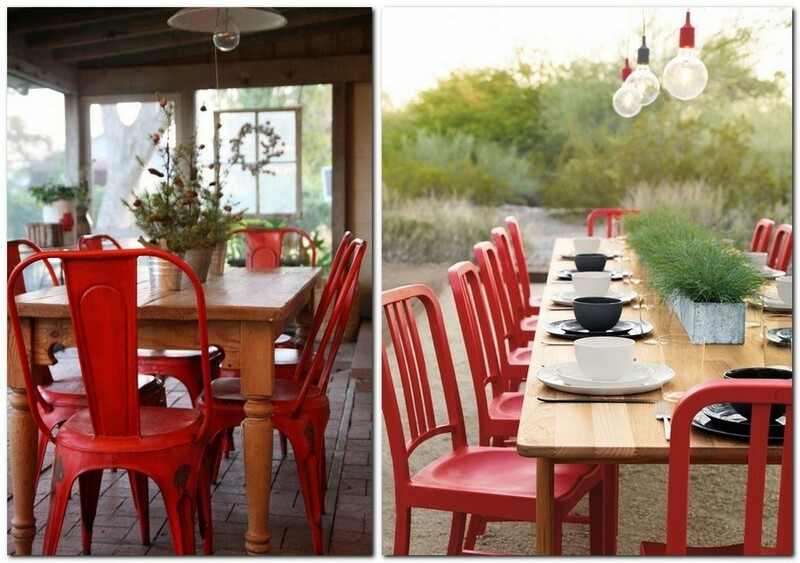 And in this case a few bright red chairs would look far better than folding models or humble stools. If you’re an owner of a small kitchen, it’s 99% that its interior was made as light as possible. 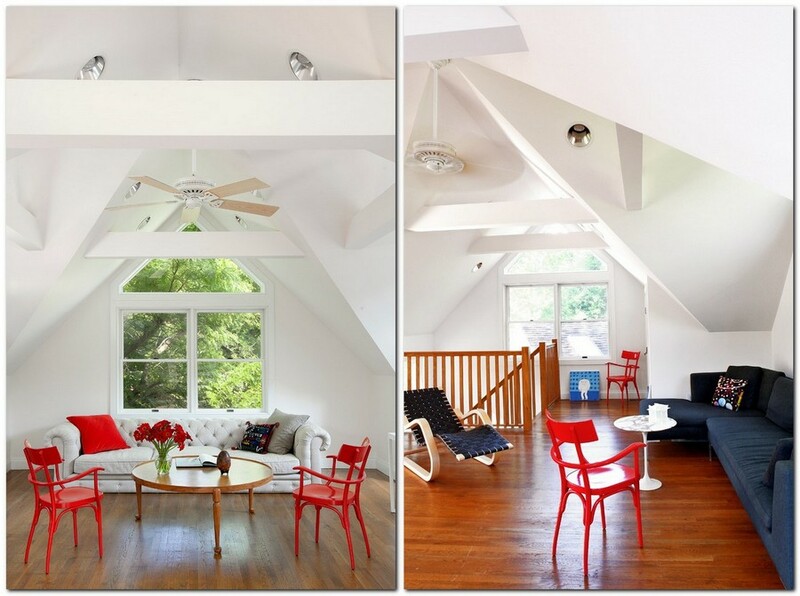 But to avoid the dull look of the space and not overdo with accents, you might find a couple of red chairs very useful. These elements will bring a bright splash to a light interior, but won’t overload a small area with too much active color. Maybe you’re renting an apartment in gray or beige and there’s no chance to change it fundamentally. 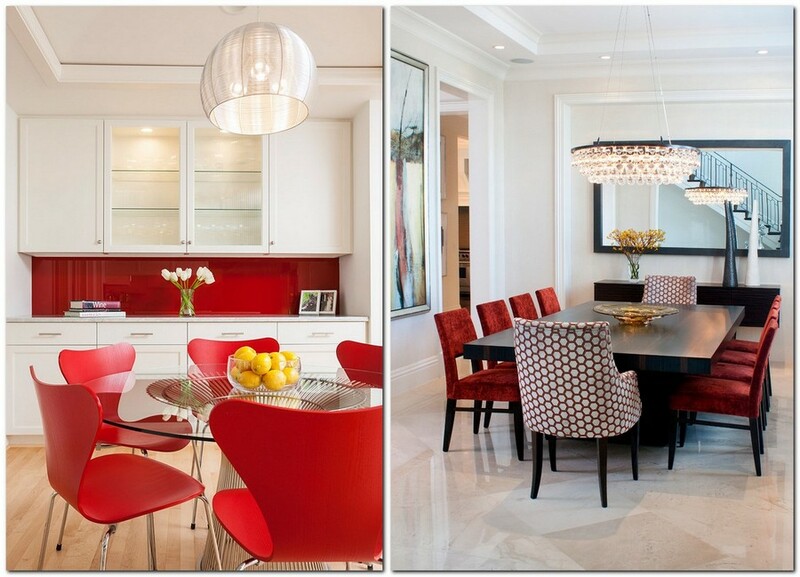 So, give your neutral monochrome interior a breath of fresh area with red dining chairs! The total-white trend has been a popular for quite long, but without a competently arranged contrast, such a kitchen will remind of a clean slate. 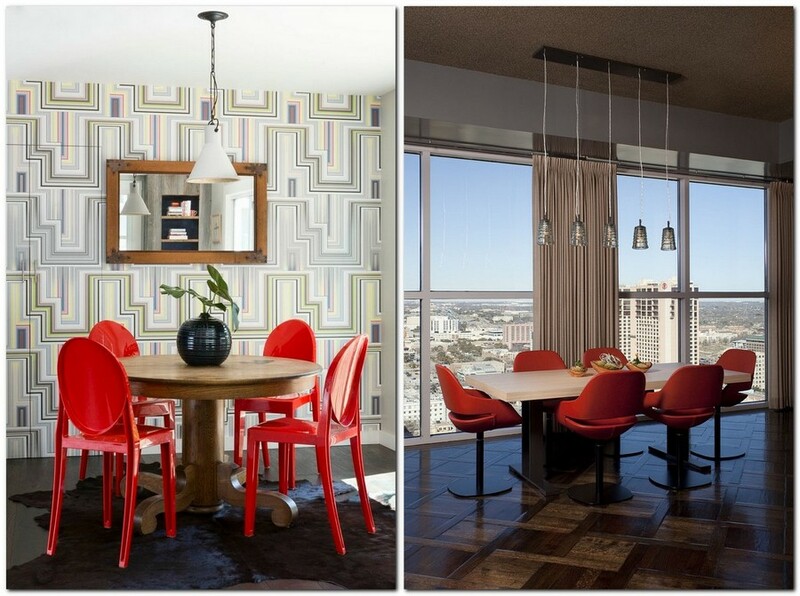 Recently the trend of refusing from excessive home décor has become more vivid. Even non-minimalist interiors feature fewer pictures, small details and decorative elements. They’re replaced with the concept of functionality, and furniture becomes not just a household object, but a piece of décor per se. 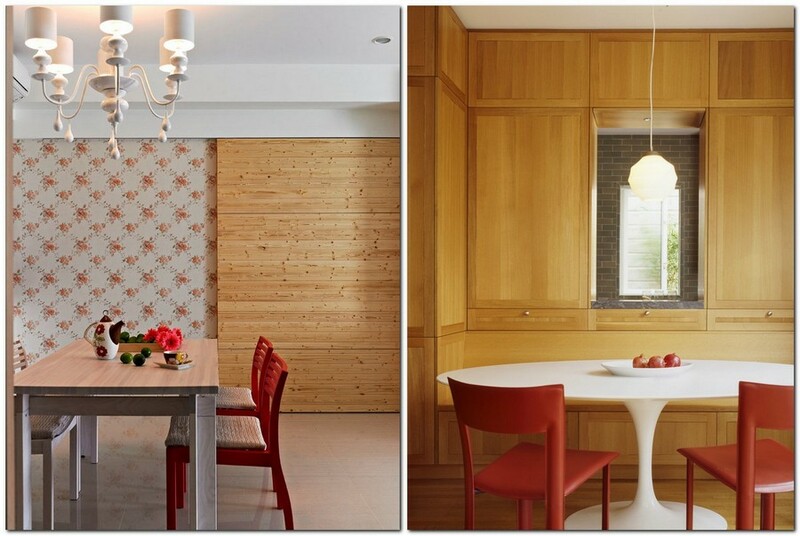 And bright dining chairs of unusual color and shape play this role just perfectly.